In 2009, our company was assigned with a unique task which set new standards for complexity and level of accuracy. 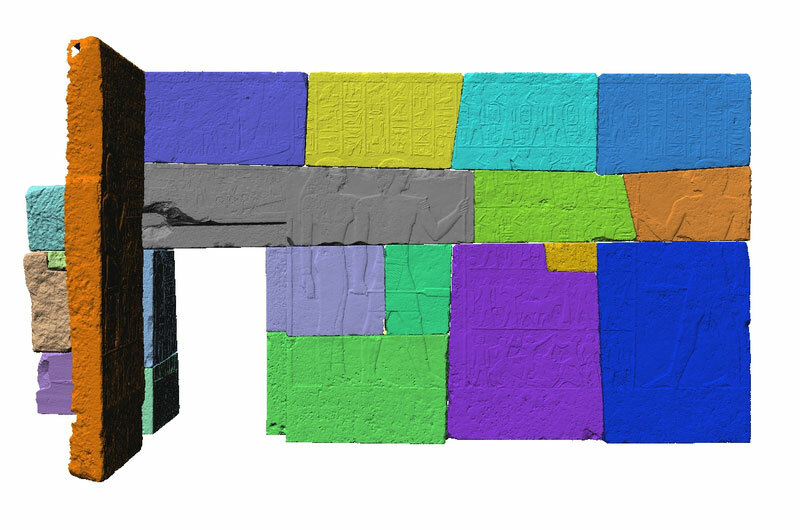 Commisioned by Prof. Dietrich Wilding and the Federal Authority for Building and Regional Planning, we were ordered to survey the sacrificial chambers of Merib and Metjen “exact to the stone” for the New Museum Berlin (Egyptian Museum & Papyrus Collection). Based on the concept developed by the museum and the restoration company ‘am Oberbaum GmbH’, the original stones were to be replaced by artificial stones and rebuild in the museum. In order to do so, several hundred stones had to be recorded without contact with an accuracy of 1/10 mm. 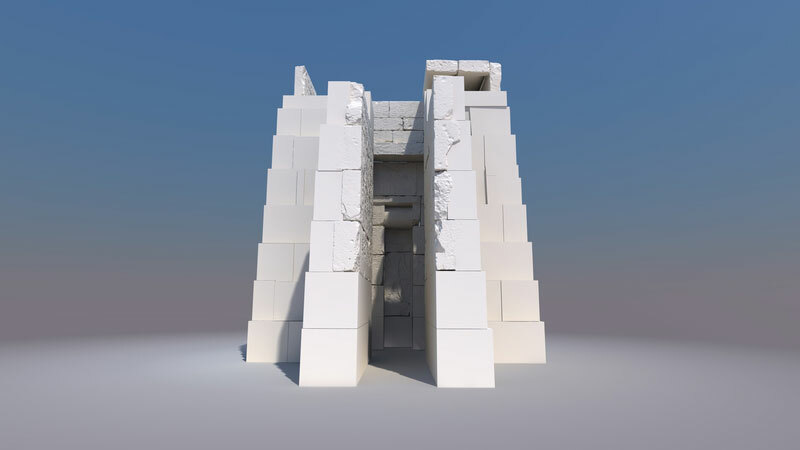 These were then elaborately modelled in 3D, and assembled with maximum precision in order to create a digital reconstruction of the sacrificial chamber. 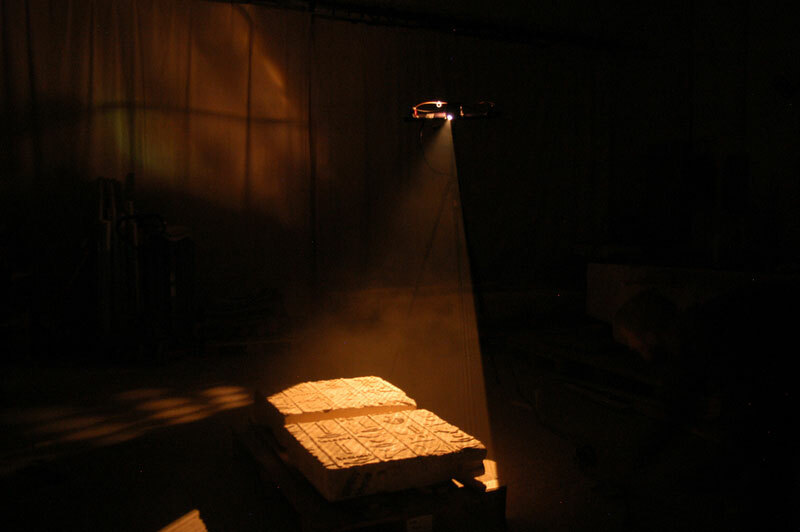 In order to create a basis for the supporting artificial stones, they had to be reconstructed accurately. 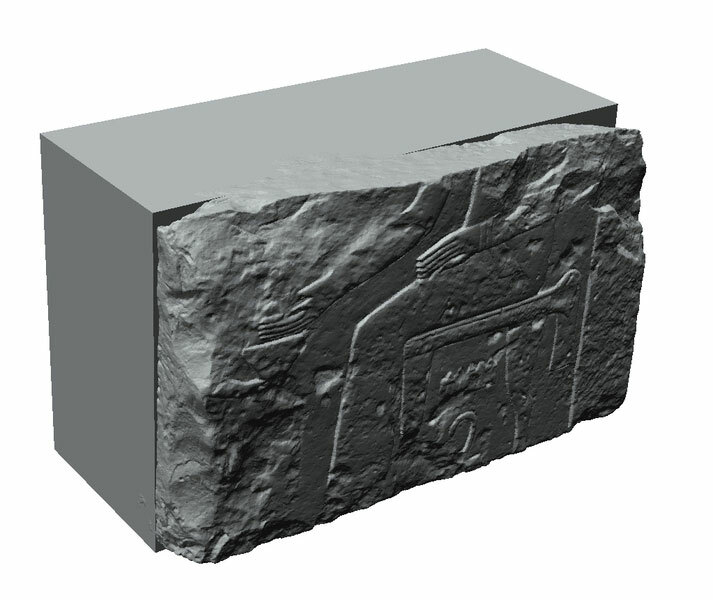 Using CNC-milling, the casting moulds were shaped from the 3D-models for casting the supporting stones. During the artificial stone production these moulds were used as “positive” to produce the “negative” supplementary blocks. 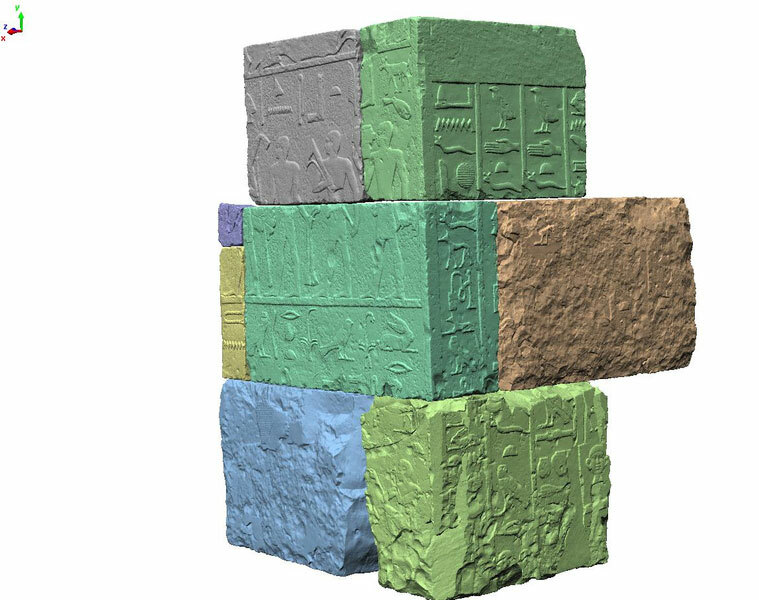 The most important objective was to insert the originals as gently as possible into the artificial stones. 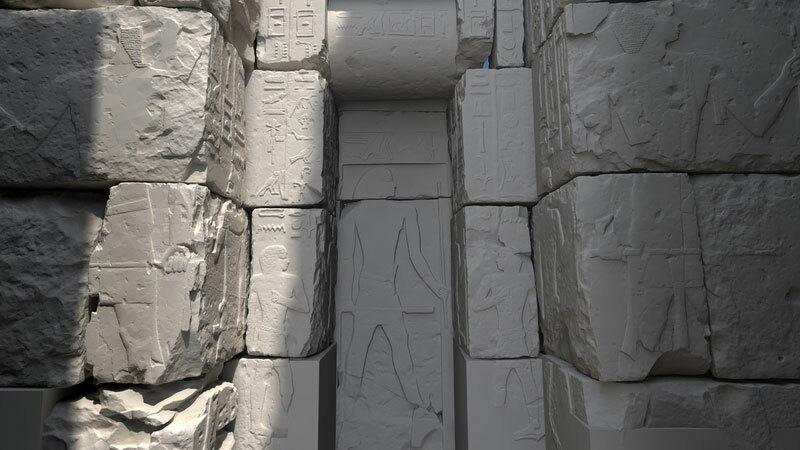 Today, these chambers have been rebuild in the New Museum “stone by stone” and allow a glimpse of the monumentality of Egyptian tomb constructions. Once built for high Egyptian state officials, the sacrifice chambers are now fully on display again for the first time in 70 years.